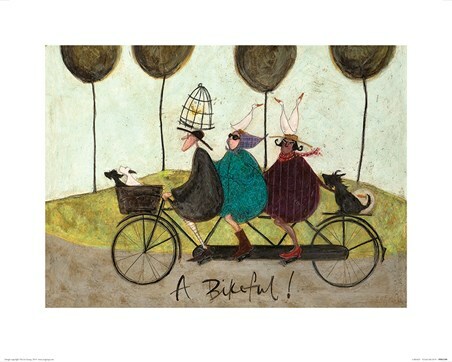 Large Canvas Art Print: Look at these three cyclists as they travel over the large mound with ease. 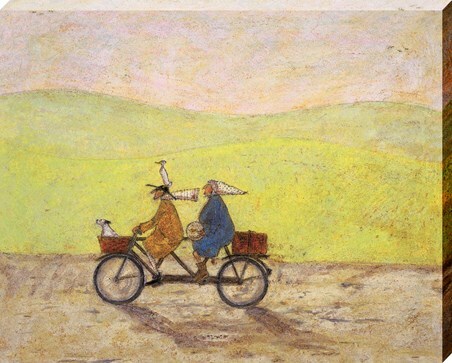 The first two riders put in a very impressive effort as each of them carry a dog in their baskets...but Mr Mustard is putting them all to shame! 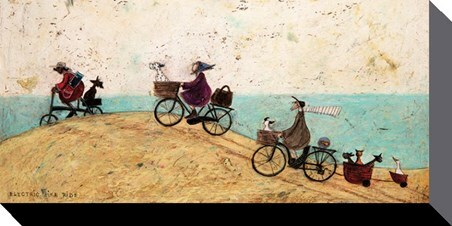 He has his dog Doris in the front, a goldfish behind his seat...not to mention two baskets trailing behind his bicycle which carries three cats and a goose! Sound a bit too good to be true? We thought so too - which is why the title of the piece ('Electric Bike Ride') sheds some light on the situation. 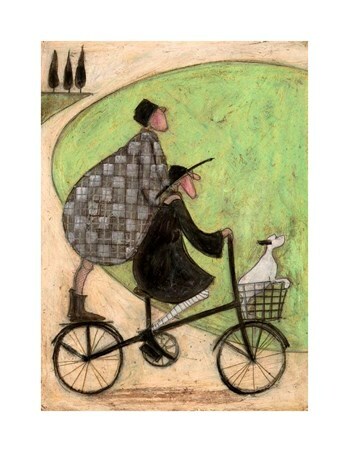 If you love this humorous and beautiful canvas by British artist Sam Toft, then hang this on your wall and add some seaside beauty to your home. 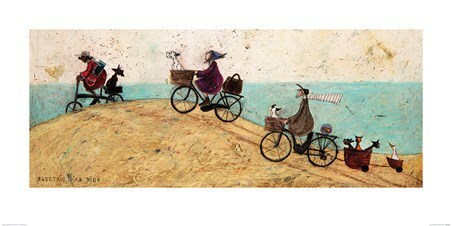 High quality, framed Electric Bike Ride, Sam Toft large canvas print with a bespoke frame by our custom framing service.